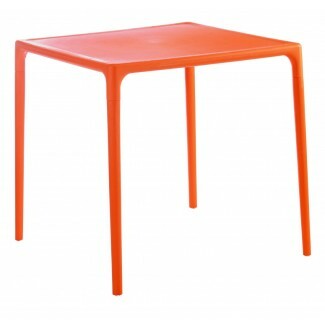 Our Mango dining table is made of a high quality resin, and stacks for easy storage and set-up. It's designed with a strength and durability that make it ideal for hospitality environments. Available in Orange. Our Commercial Resin Avante Garde Table Collection has a lead time of 3 - 6 weeks from the time your order is processed.